In our grocery aisles you’ll find local, organic favorites next to grocery classics. We’re talking the hot sauce bottled by your next-door neighbor in the same aisle as Heinz ketchup. We also work hard to offer up a variety of delicious options for our customers with dietary restrictions—everything from vegan and kosher, to gluten-free & anti-inflammatory. New on our shelves! 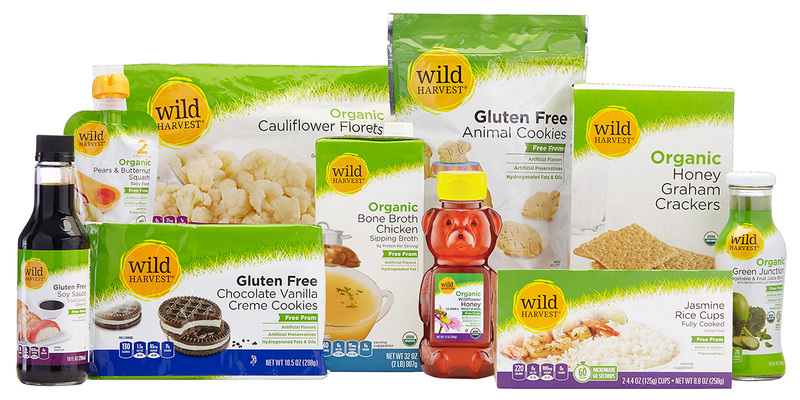 Keep a lookout for Wild Harvest products. They offer indispensable pantry staples—the stuff you eat and cook with week after week—made with high-quality, natural ingredients at prices that won’t stress you out. At New Seasons Market, we call our private brand our “Partner” Brand. These are the makers in your region that share our values and commitment to quality. Like locally sourcing ingredients and using sustainable processes to create the most delicious products possible. Have it delivered! We have a number of delivery options for a wide selection of items big and small.